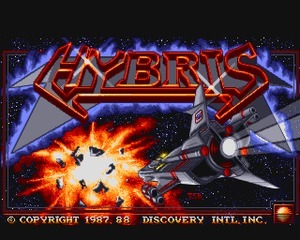 Hybris is a vertical scrolling shoot-’em-up developed by Cope-com and published by Discovery Software International in 1988 for Amiga only. 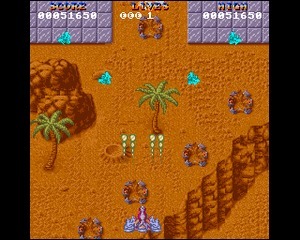 This sci-fi shooter, mostly created by Torben Bakager Larsen (graphics) and Martin Pedersen (programming), is considered by many the best vertical shooter created for the 16-bit Commodore platform. Like most sci-fi games it is set in the distant future, in the year 2461. After losing contact with a human colony on a distant planet, you are sent in to find out what happened and rescue any survivors. 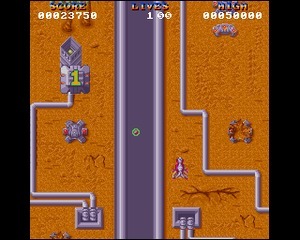 Controlling a weapon equipped ship as one of the two characters, Maverick or Lovett, you fly in to deal with hostiles. 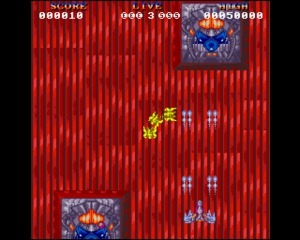 With enemies coming at you from every direction, you need to be quick on the trigger as well as dodge enemy fire. 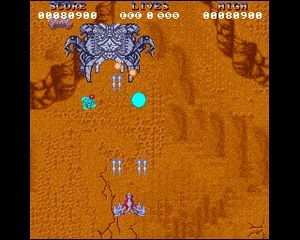 Weapons can be upgraded by finding powerups around the levels. Your ship is also equipped with a set of smart bombs to deploy in a pinch. 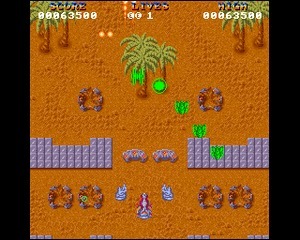 The game features varied environments including deserts, water, and even molten lava. 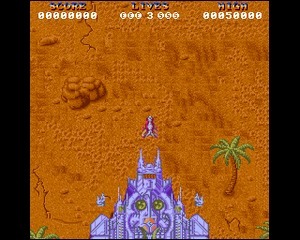 Each expansive level culminates in a big boss fight before transitioning to the next section. 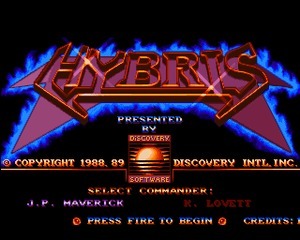 Hybris was released to very positive reviews citing the game’s graphics, sound, and action. 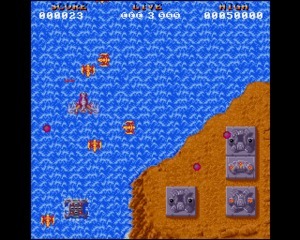 If you like games like R-Type or 1942, this one will be right up your alley. 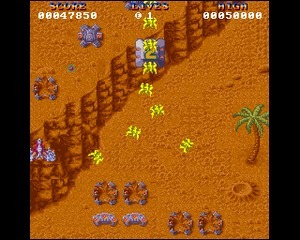 Battle Squadron, released in 1989 and developed by the same team, is considered the spiritual successor to Hybris.